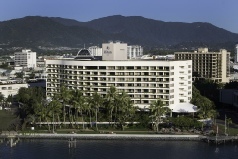 Hilton Cairns Hotel is located on the Cairns Esplanade, only 10 minutes’ walk from Cairns Convention Centre. 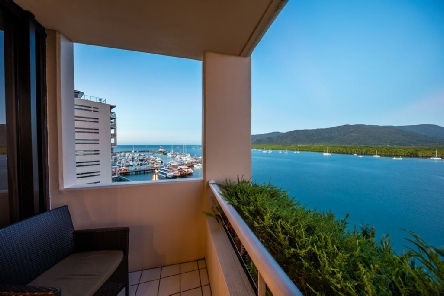 Hilton Cairns offers stylish rooms with a private balcony overlooking Trinity Inlet or Cairns city. Each room at Hilton Cairns Hotel includes a minibar, in-room safe, work desk with internet connectivity and cable TV. The elegant bathroom has a hairdryer and guest toiletries. Guests can relax in the spa pool, or enjoy a massage at Aiga Day Spa. Free Wi-Fi is provided in the lobby. The tour desk can book trips to the Great Barrier Reef, Daintree Rainforest and Cape Tribulation. The award-winning Mondo on the Waterfront offers outdoor dining and live music on Thursdays. Simply Italian restaurant incorporates traditional Italian cuisine with fresh local produce. Six Degrees Bar specialises in creative cocktails. Boasting a great waterfront location and surrounded by lush greenery, Hilton Cairns is the perfect base from which to explore the diverse wonders of this unique region. 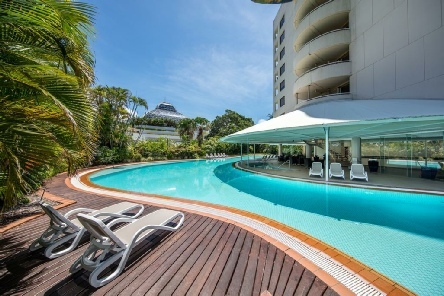 2019 package holidays to the Hilton Cairns Prices are per person based on two sharing, including flights and accommodation, and are subject to availability.